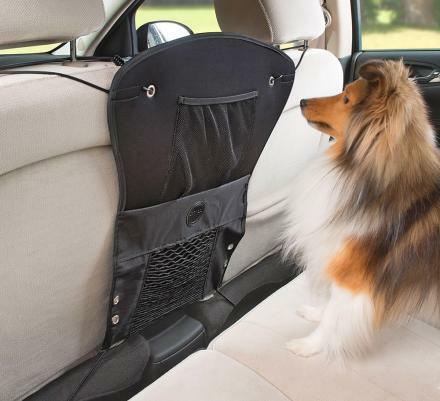 While driving, how safe can you really be if a simple seat belt is protecting you from flying through your windshield? 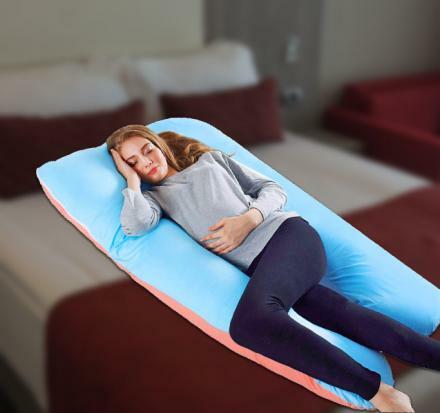 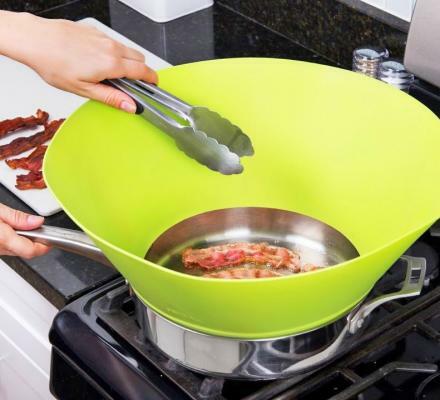 Wouldn't you rather have the incredible protection of Chewbacca holding onto you during a crash? 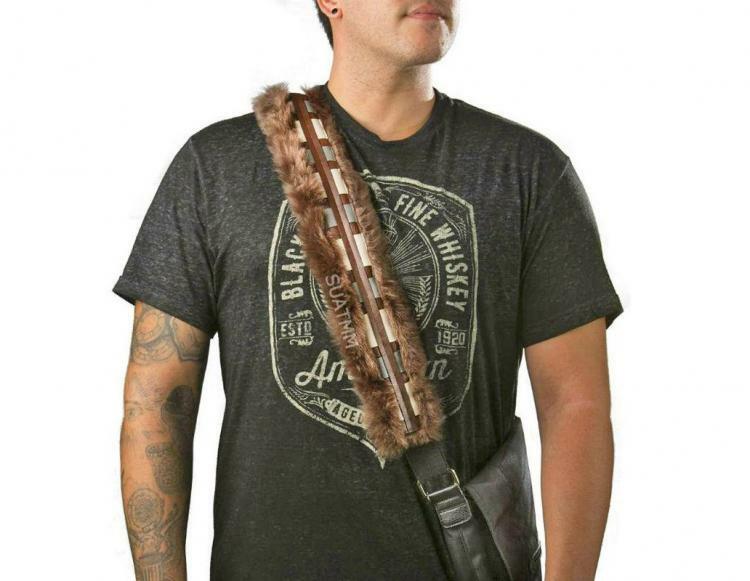 This Chewbacca seat belt cover is made to look just like his bandolier, with his fluffy fur and all. It will not only make car accidents much more relaxing and enjoyable to be in, but it'll also make wearing a seat belt much more comfy while you're smothered by soft faux Chewbacca fur. The Chewbacca fur seat belt cover easily installs onto your existing seat belt by just sliding it over to connect it. While connected all other cars will know just how geeky you are and will surely admire your unwarranted lover for Star Wars. 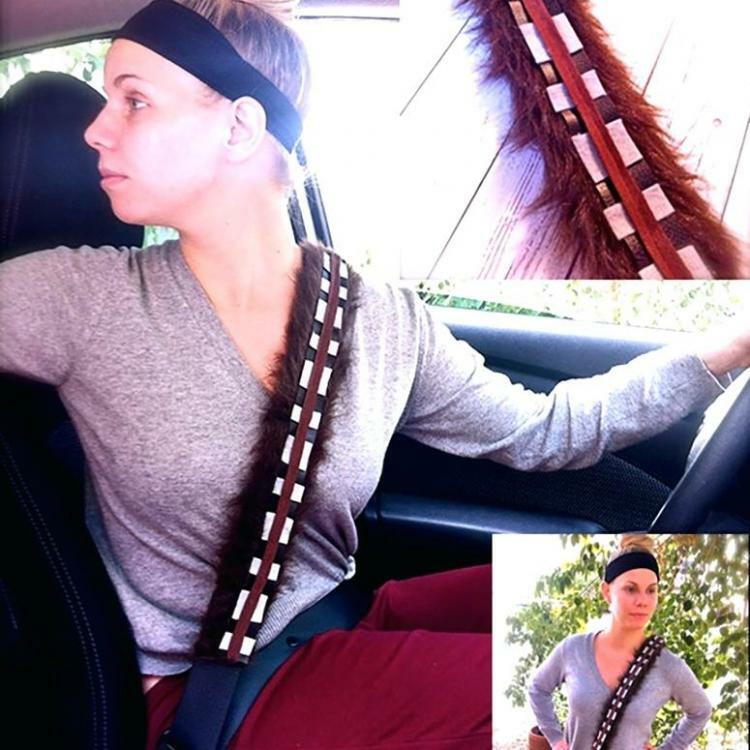 A perfect gift idea for Star Wars lovers, the Chewbacca seat belt cover can not only just be used on your seat belt while driving, as it can also be used to connect to your backpack strap, purse strap, messenger bag strap and more. This way no matter where you are, or where you're going your geekiness will travel along with you on your shoulder or across your chest. 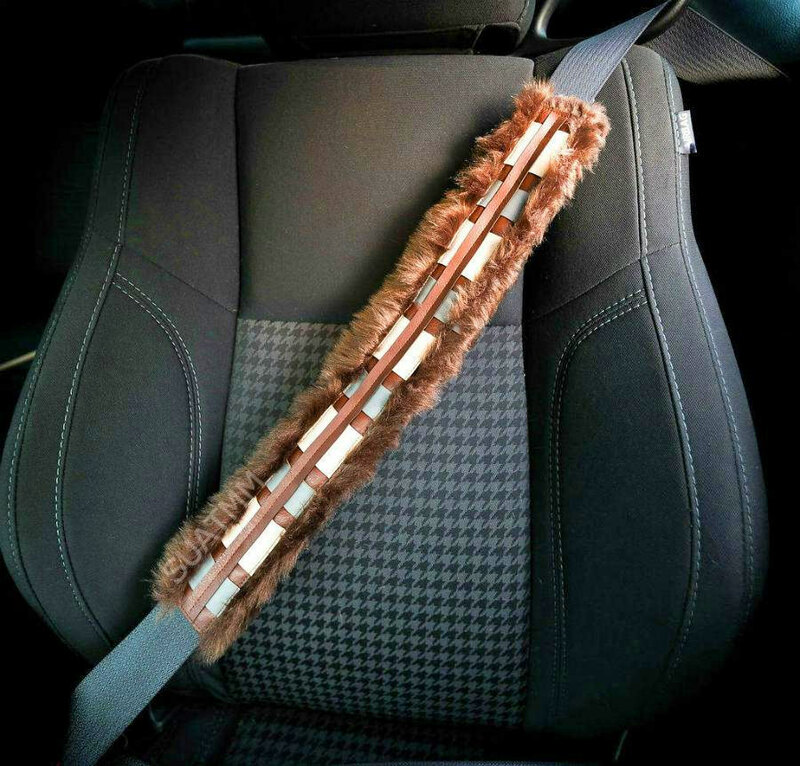 The Chewbacca fur seat belt cover is 100% hand sewn using marine vinyl trim in alternating light grey and dark grey accents, is handmade using faux fur, should be spot cleaned only, and it measures approximately 20 inches long.